Three men pose in Gala Alley, between Diamond Street and Fourth Avenue, in the Hump District, while workers repair the road in the background. 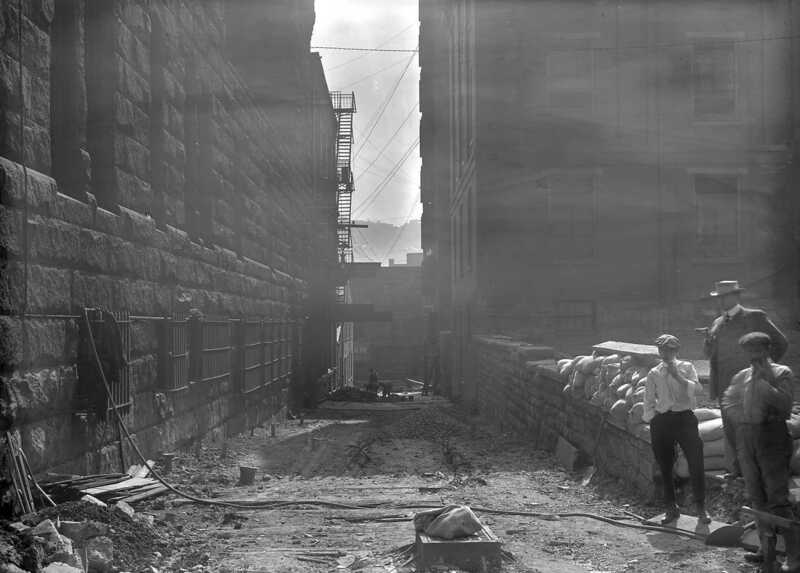 The Williams Gauge Co. is visible just past the Allegheny County Morgue, on the left. this was a fun one - so in the modern location the Allegheny County Morgue (now the Health department) is on the right. However in the picture from 1913, it is on the right. This is because in 1929 they moved the building to it's present location to allow the construction of the county office building.